STANZA || Artwork by the British artist Stanza. Installations, sculpture, painting, please enjoy. 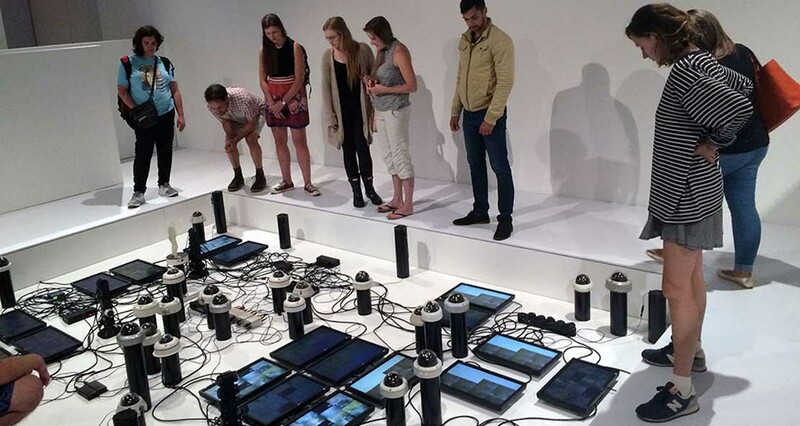 The computer manipulates real time experiences and life of NYC as it unfolds. The city and its population are all actors in this real time play. All Image available for exhibition. 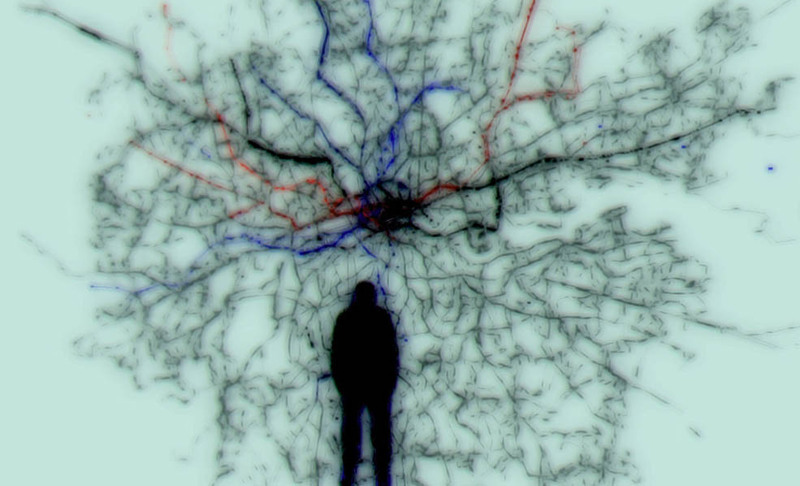 Life In The Emergent City.Using environmental data to make art. The data is the medium of the age. 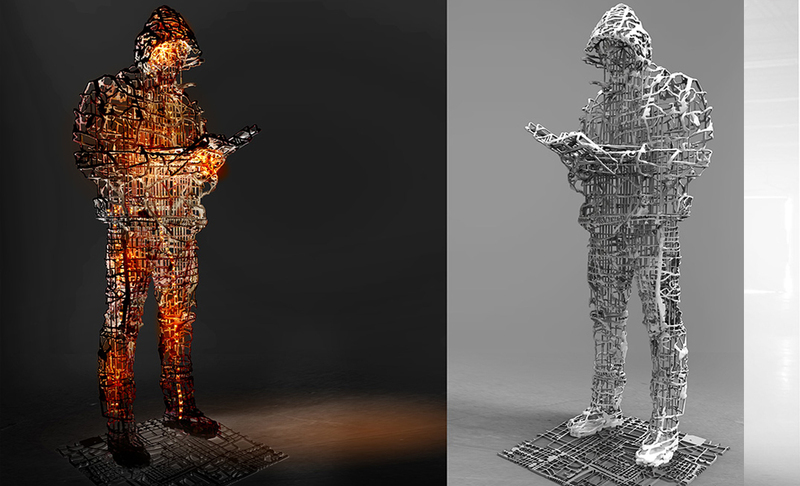 Images made using custom made software and computer techniques developed by the artist. Most images below show events captured from CCTV and live feeds from networked devices. All Image available for exhibition. 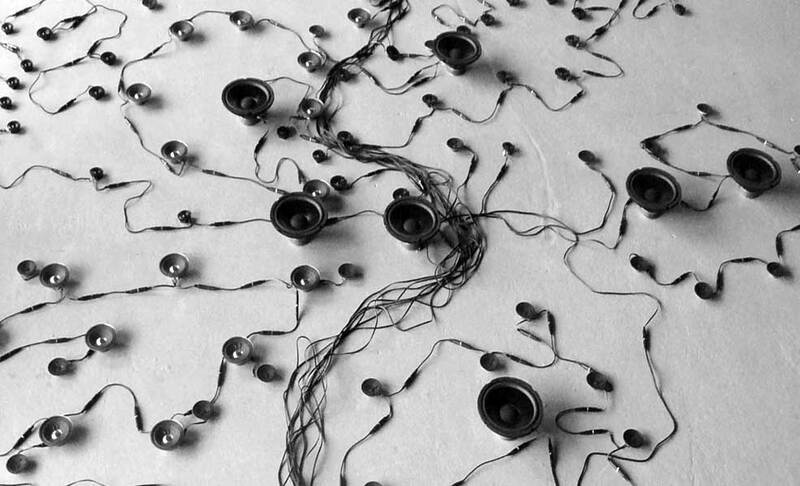 Artworks about surveillance, and the ethics of the control spac. Most images below show events captured from CCTV and live feeds from networked devices. All Image available for exhibition. 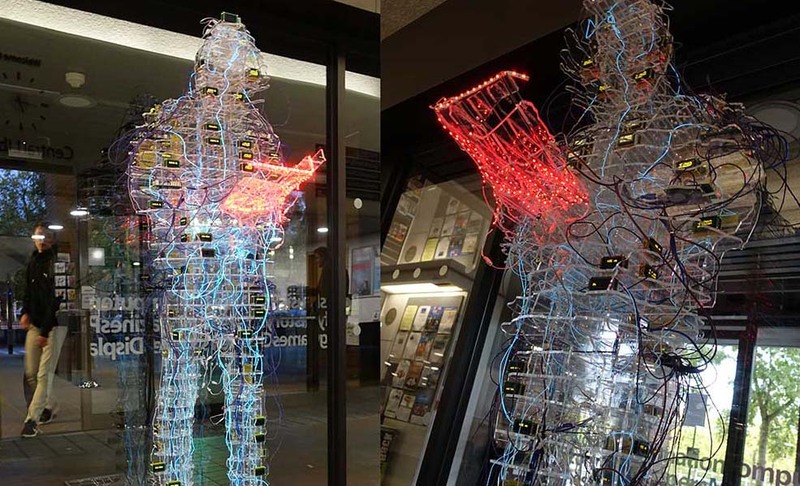 These images represent a portrait of England since the start of the CCTV imaging revolution. These CCTV artworks are re-mediated as history paintings and represent a social portrait of England. All Image available for exhibition. Stanza. 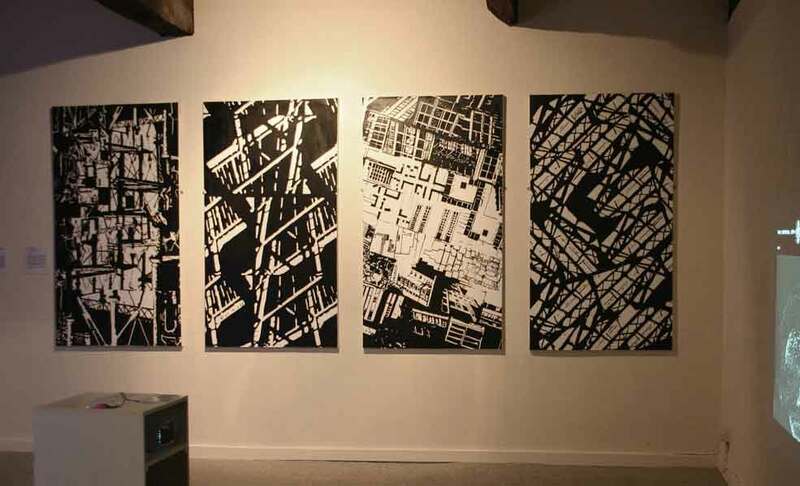 Multiple CCTV cameras are accessed randomly in real time to make this urban tapestry. What you see is an evolving, generative artwork. 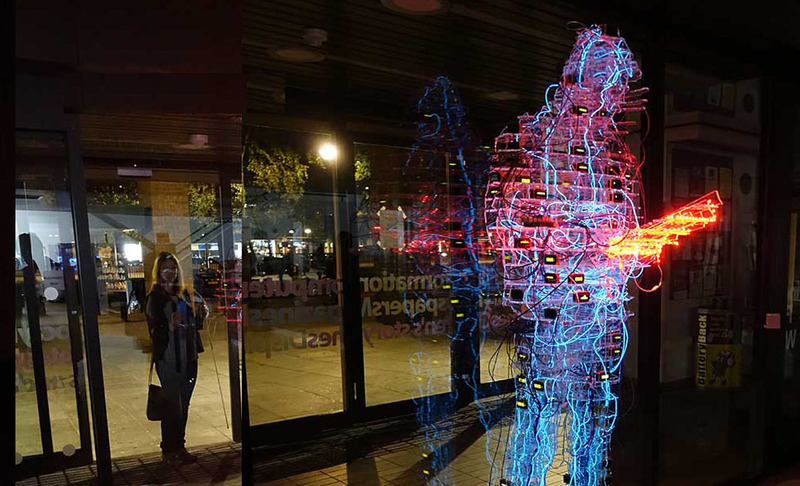 These images are from taken London, and they happen as you see them, in real time. 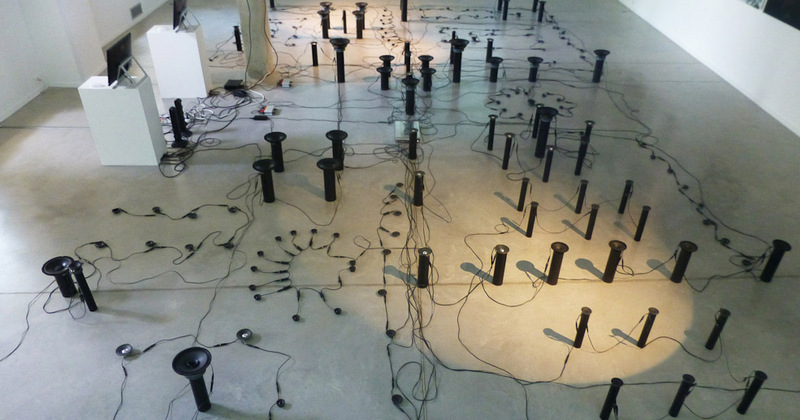 A large installation sculpture adapted to each place where it is displayed. Stanza. 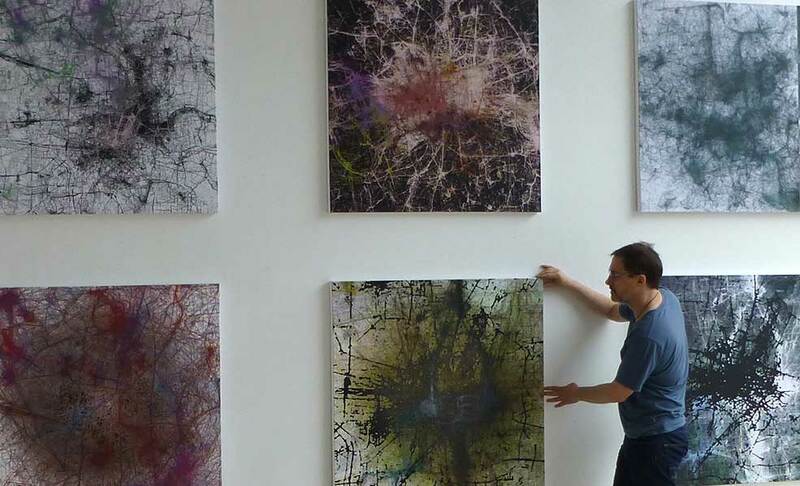 These artworks are made from thousands of live real time CCTV images using custom made software which captures the images over selected periods of time. Stanza DNA as artwork installation. Stanza. 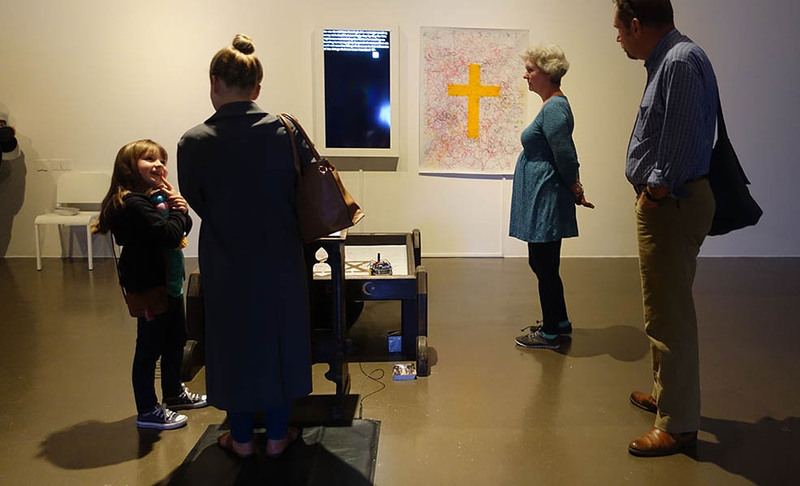 This series of artworks is about exploring the artistic process, being transparent about the process and the development and production of new work and doing it all in public in the gallery. Works On Canvas. All 100 cm by 100 cm and signed. Stanza's project which has won the Nova Folkets Hus facade international juried competition in 2010 is dynamic facade, mirroring the dynamic activities taking place within the building. 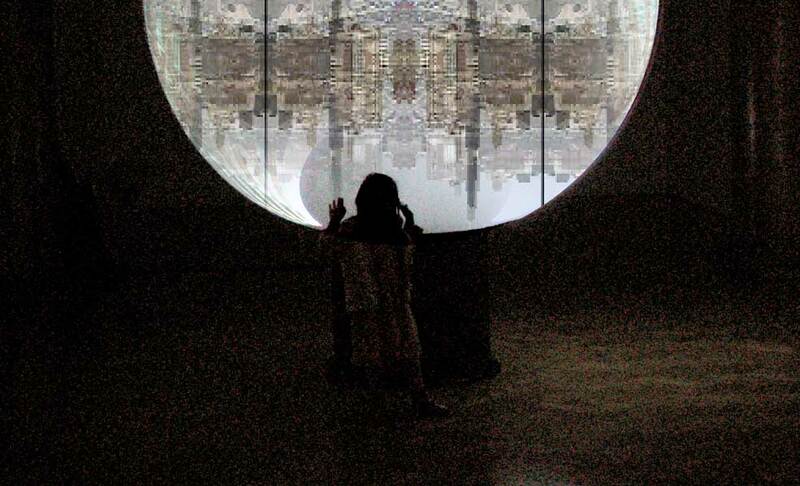 Artworks on mirror or perspex about the urban landscape, surveillance culture, privacy and alienation in the city. 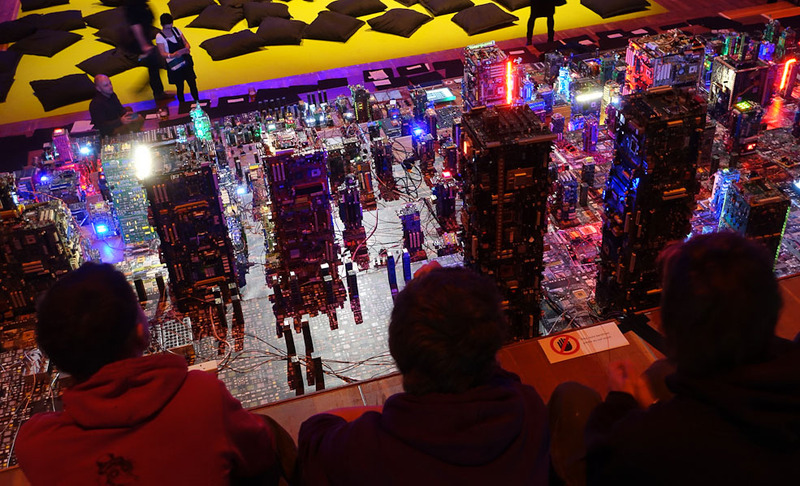 A large installation adapted to each place where it is displayed that is a miniature city. 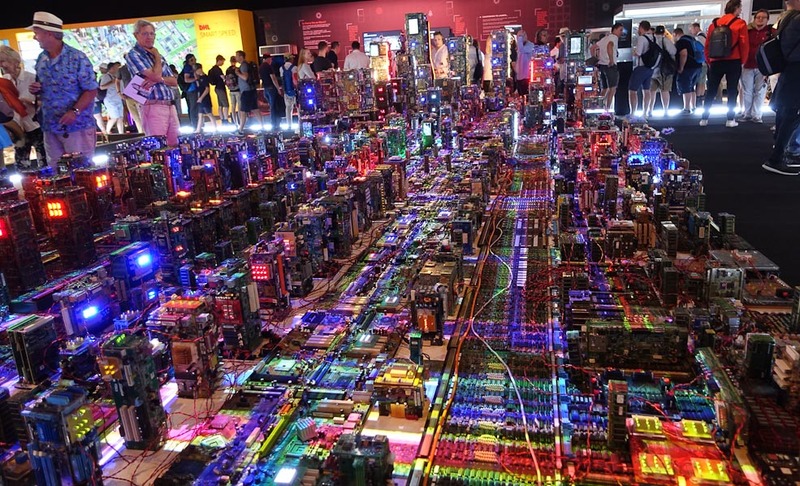 a large installation (adapted to each place where it is displayed) that is a miniature city. 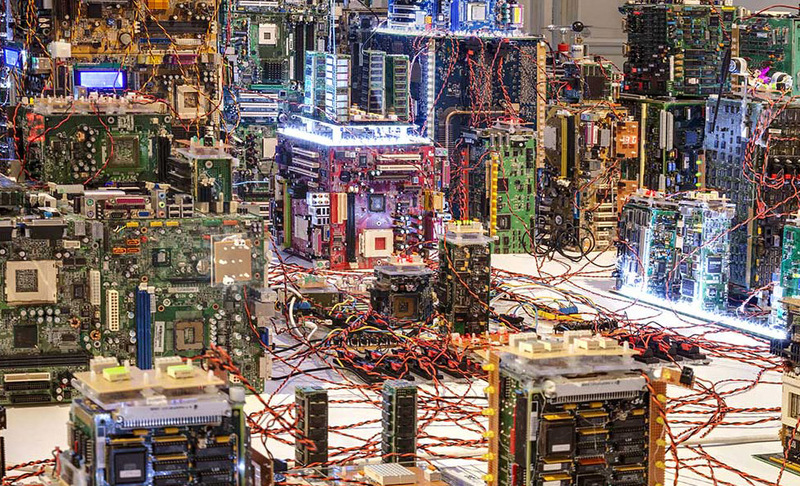 Custom hardware and complex software systems as art. 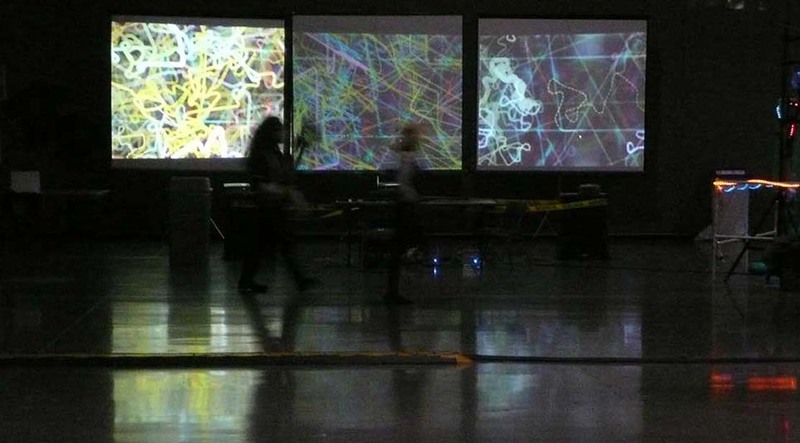 The computer manipulates al time experiences and life of NYC as it unfolds. The city and its population are all actors in this real time play. All Image available for exhibition. Artwork Underlying these simple interfaces and engaging forms are sophisticated formal and technical structures. 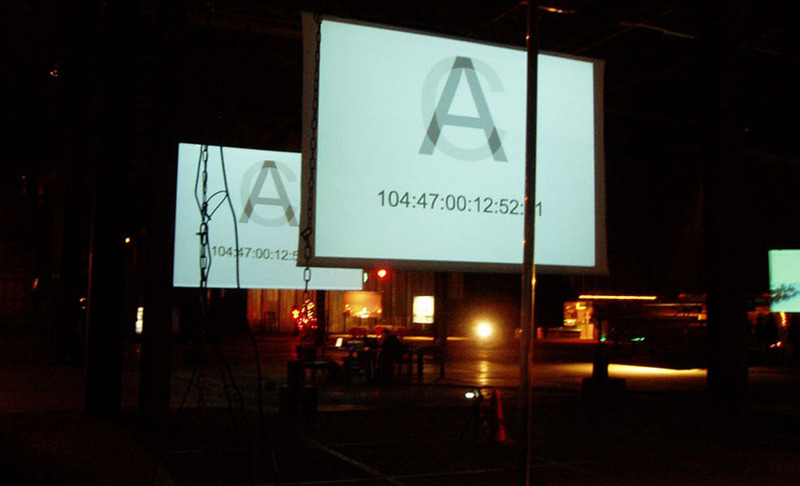 Stanza is an artist who specializes in netart, painting, networked space, installations. 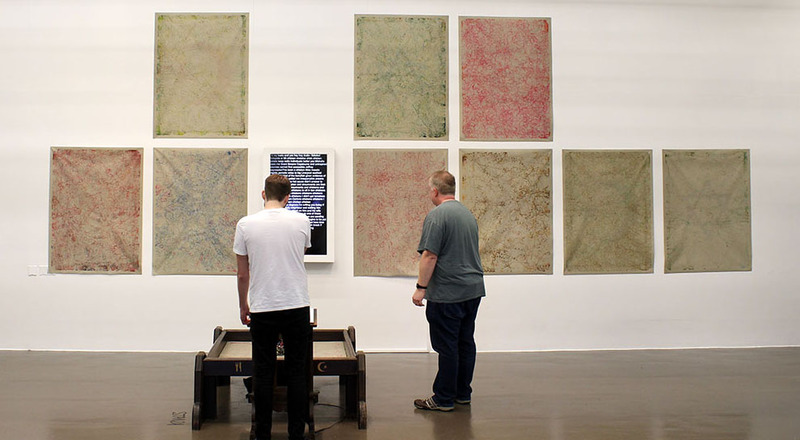 Artwork has been shown at The Venice Biennale, Tate Britain, The Victoria and Albert Museum. 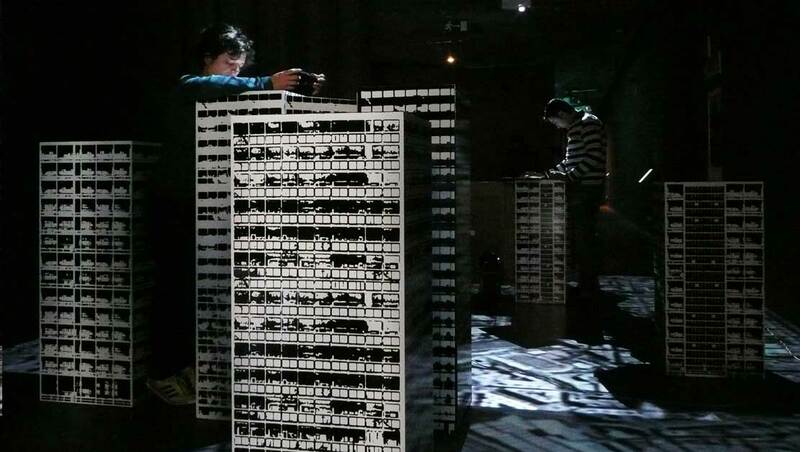 Recipient of Nesta Dreatime Award, AHRC creative fellowship and numerous prizes. 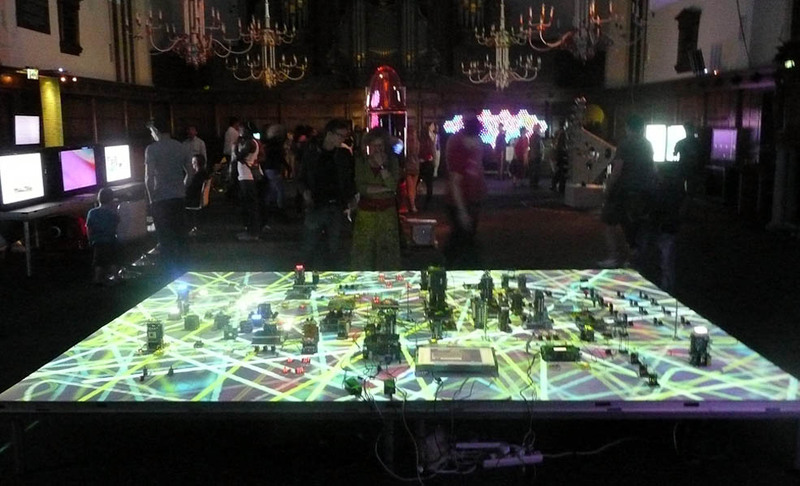 70 Print The computer manipulates real time experiences and life of NYC as it unfolds. The city and its population are all actors in this real time play. All Image available for exhibition. 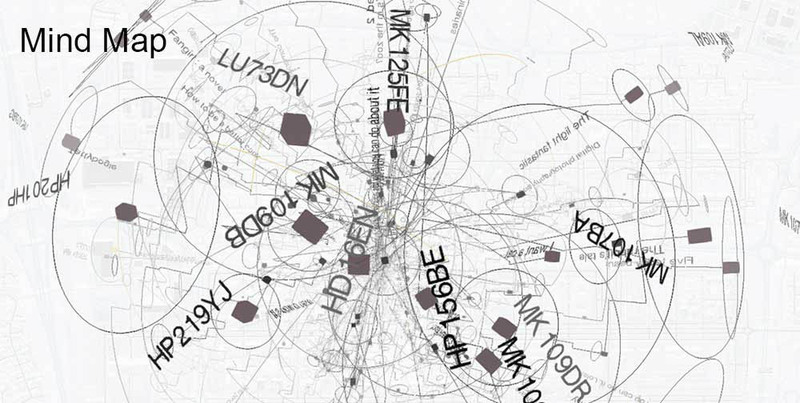 28 Installation Life In The Emergent City.Using environmental data to make art. The data is the medium of the age. 56 Installation Images made using custom made software and computer techniques developed by the artist. Most images below show events captured from CCTV and live feeds from networked devices. All Image available for exhibition. 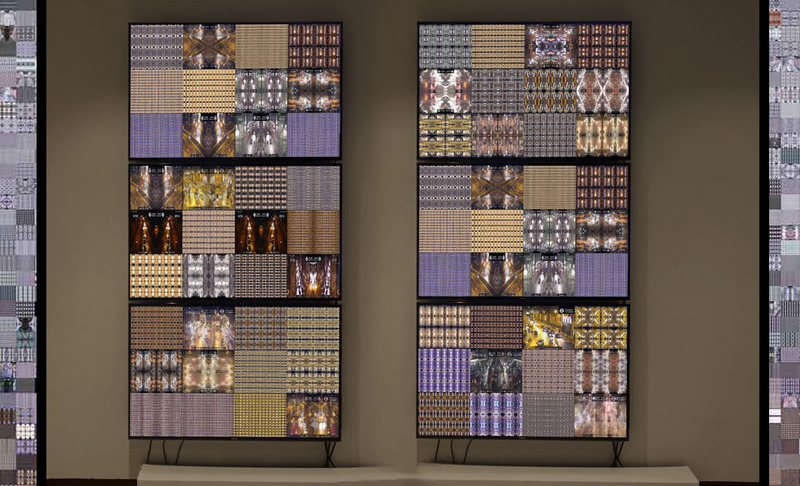 60 Installation Images made using custom made software and computer techniques developed by the artist. 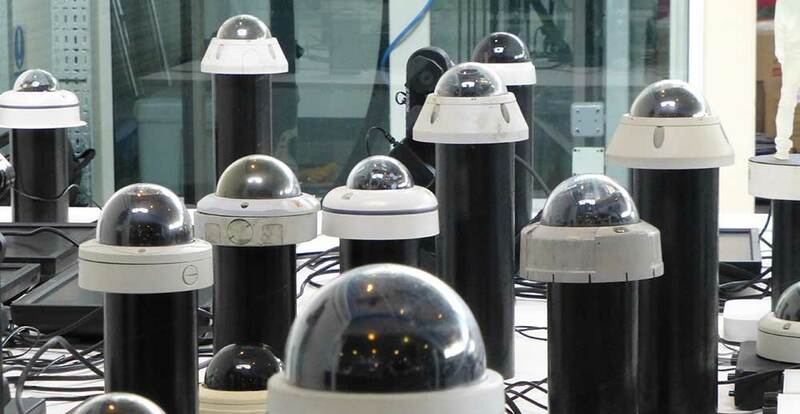 Most images below show events captured from CCTV and live feeds from networked devices. All Image available for exhibition. 63 Prints Artworks about surveillance, and the ethics of the control spac. Most images below show events captured from CCTV and live feeds from networked devices. All Image available for exhibition. 69 Print These images represent a portrait of England since the start of the CCTV imaging revolution. These CCTV artworks are re-mediated as history paintings and represent a social portrait of England. All Image available for exhibition. 26 Installation Stanza. 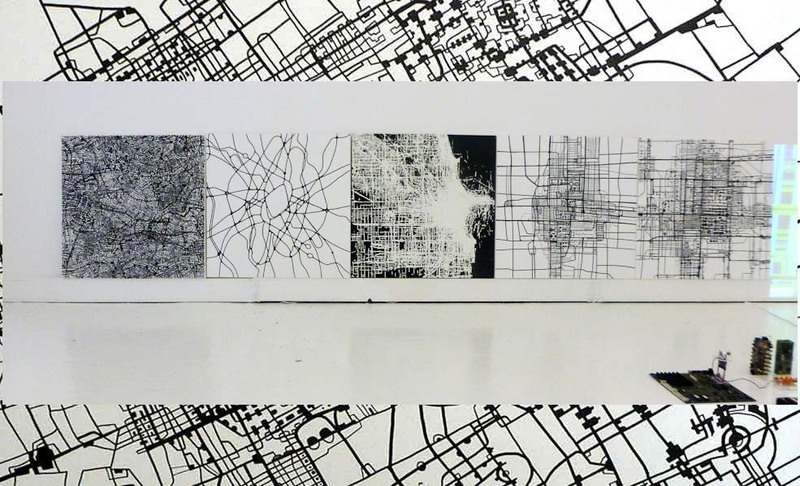 Multiple CCTV cameras are accessed randomly in real time to make this urban tapestry. 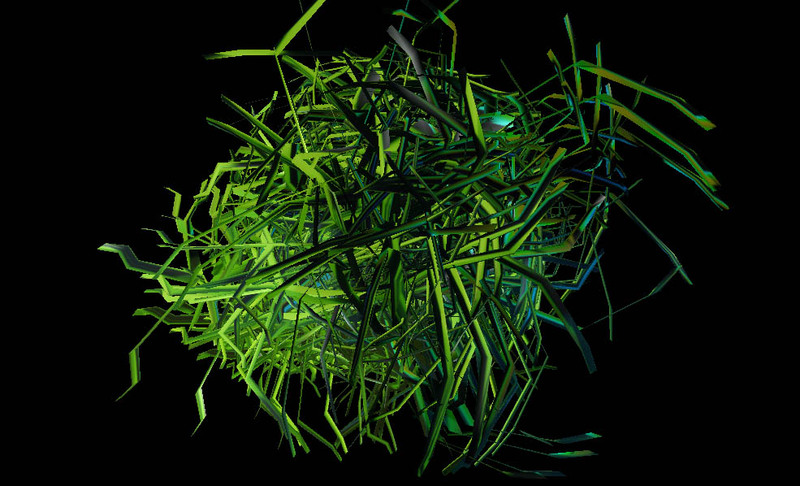 What you see is an evolving, generative artwork. 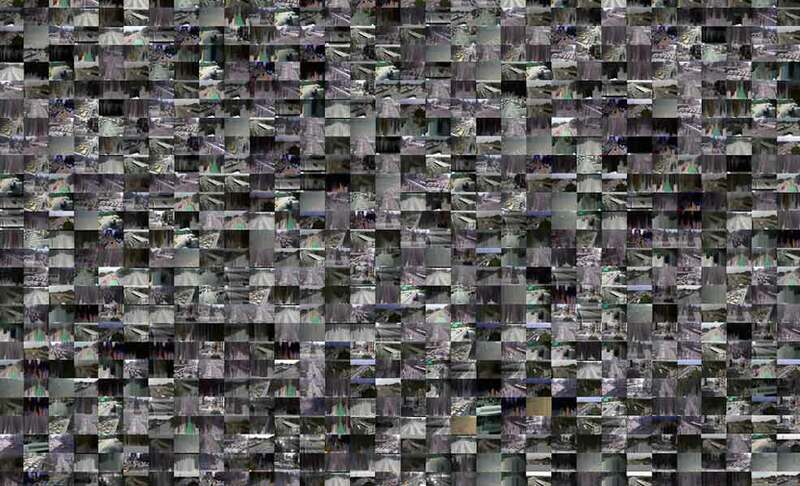 These images are from taken London, and they happen as you see them, in real time. 114 Sculpture A large installation sculpture adapted to each place where it is displayed. 64 Installation Images made using custom made software and computer techniques developed by the artist. 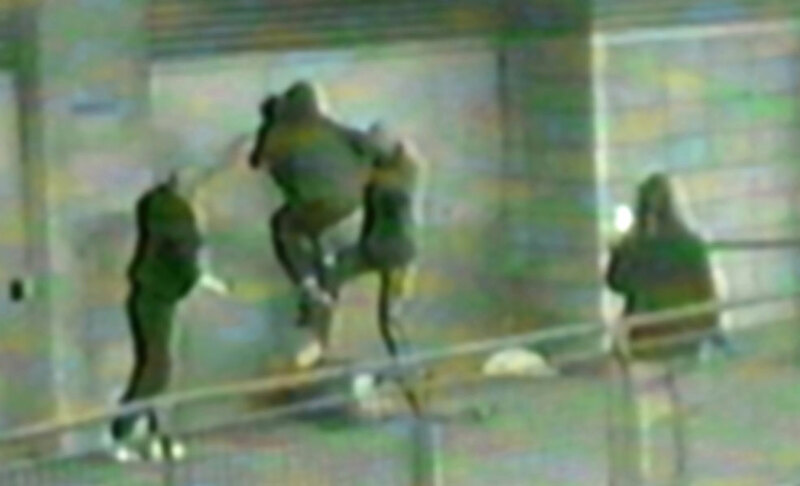 Most images below show events captured from CCTV and live feeds from networked devices. All Image available for exhibition. 24 Installation Stanza. 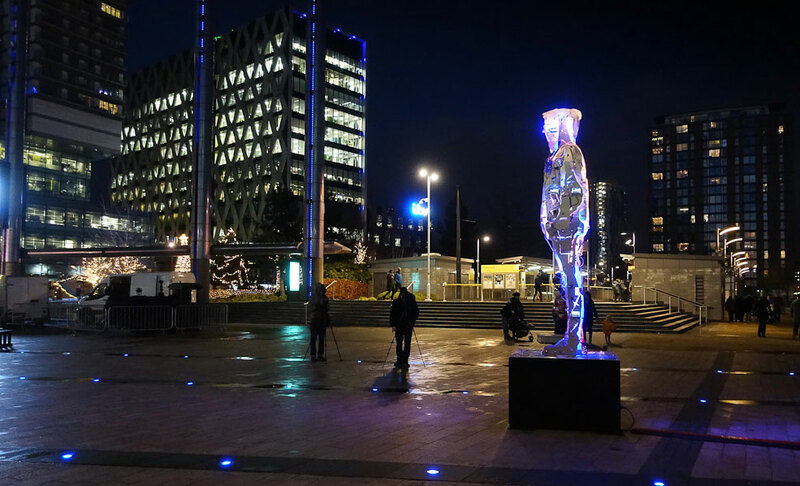 These artworks are made from thousands of live real time CCTV images using custom made software which captures the images over selected periods of time. 11 Installation Stanza DNA as artwork installation. 20 Installation Stanza. 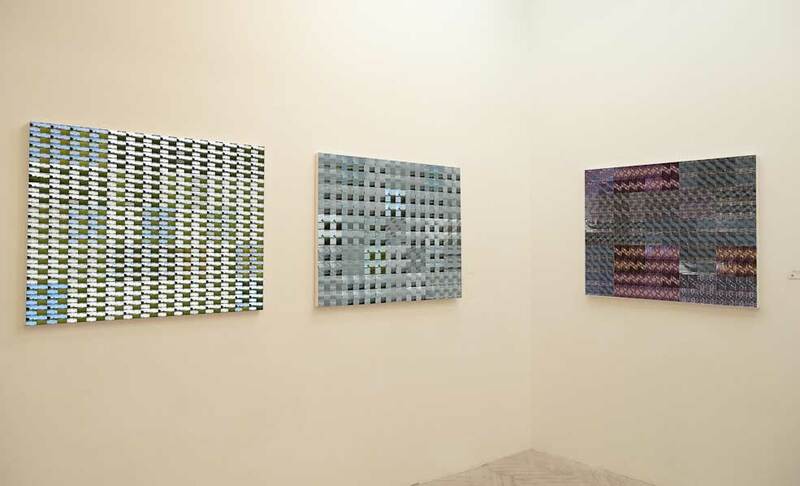 This series of artworks is about exploring the artistic process, being transparent about the process and the development and production of new work and doing it all in public in the gallery. 58 Print Images made using custom made software and computer techniques developed by the artist. 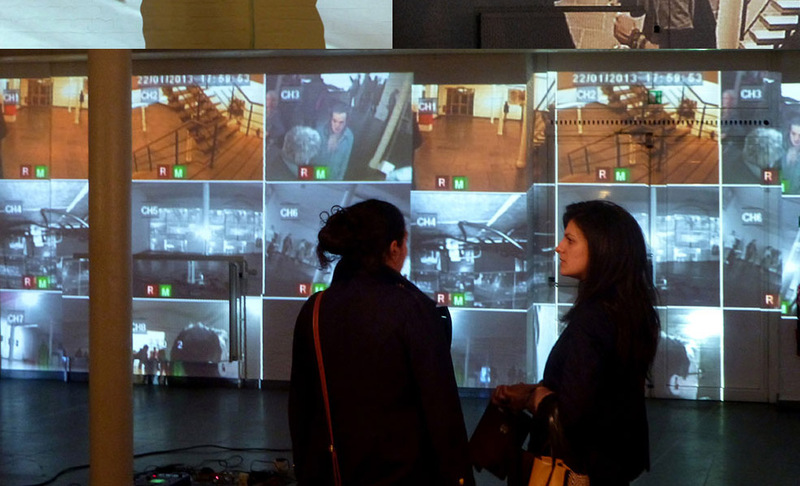 Most images below show events captured from CCTV and live feeds from networked devices. All Image available for exhibition. 55 Painting Images made using custom made software and computer techniques developed by the artist. Most images below show events captured from CCTV and live feeds from networked devices. All Image available for exhibition. 96 Digital Art Works On Canvas. All 100 cm by 100 cm and signed. 53 Installation Available for exhibition. 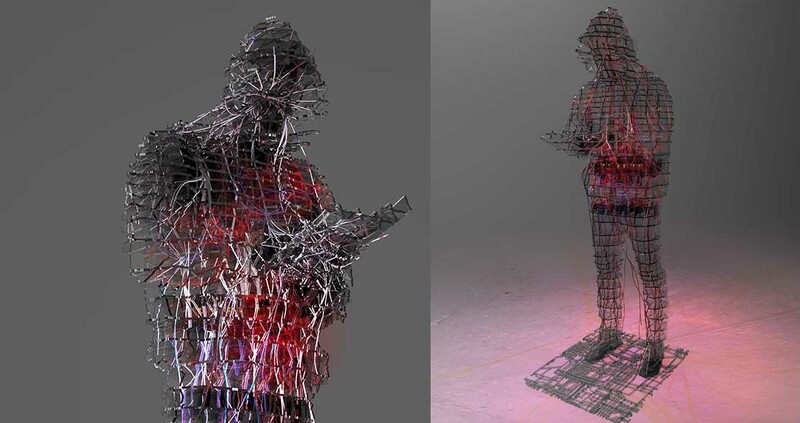 105 Sculpture Hybrid digital sculpture. 106 Sculpture Hybrid digital sculpture. 72 Installation Images made using custom made software and computer techniques developed by the artist. Most images below show events captured from CCTV and live feeds from networked devices. All Image available for exhibition. 32 Facade Stanza's project which has won the Nova Folkets Hus facade international juried competition in 2010 is dynamic facade, mirroring the dynamic activities taking place within the building. 104 Sculpture Hybrid digital sculpture. 57 Installation Images made using custom made software and computer techniques developed by the artist. Most images below show events captured from CCTV and live feeds from networked devices. All Image available for exhibition. 30 Painting Artworks on mirror or perspex about the urban landscape, surveillance culture, privacy and alienation in the city. 22 Print Stanza. 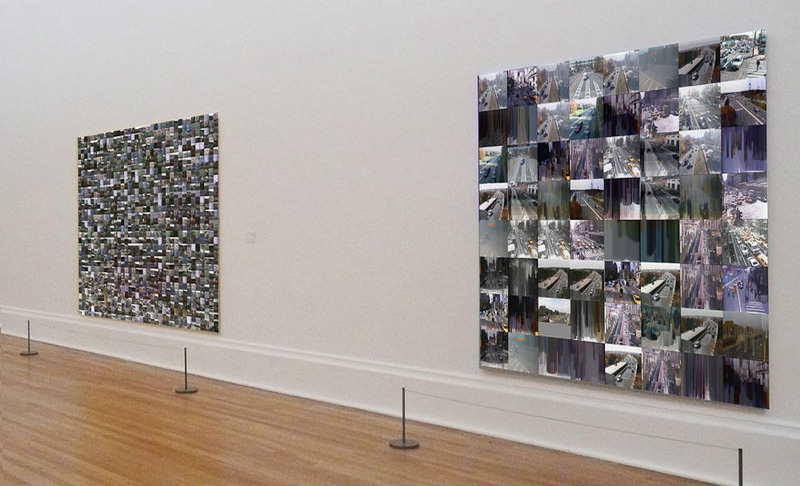 These artworks are made from thousands of live real time CCTV images using custom made software which captures the images over selected periods of time. 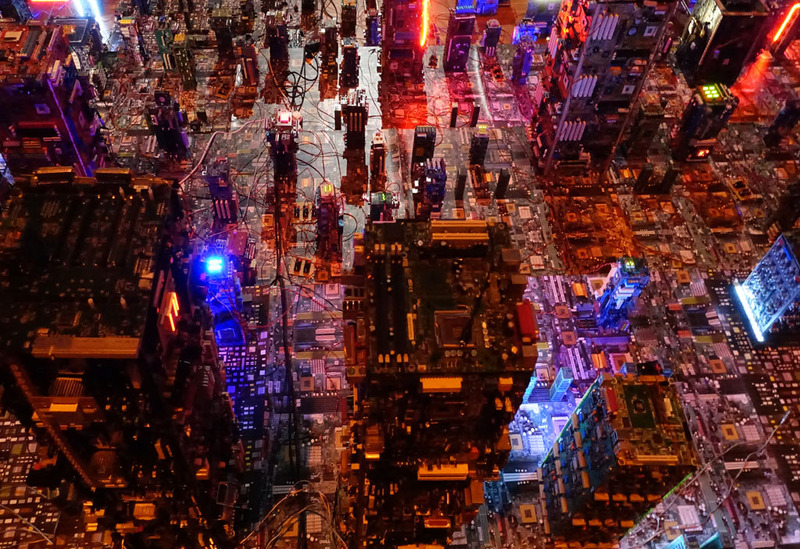 110 Installation A large installation adapted to each place where it is displayed that is a miniature city. 115 Sculpture A large installation sculpture adapted to each place where it is displayed. 101 Installation a large installation (adapted to each place where it is displayed) that is a miniature city. 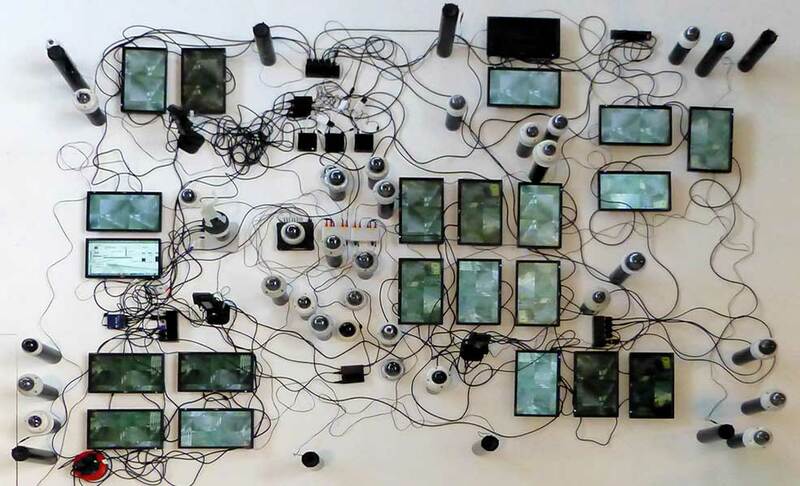 33 Generative Custom hardware and complex software systems as art. 103 Installation a large installation adapted to each place where it is displayed that is a miniature city. 97 Digital Art Works On Canvas. All 100 cm by 100 cm and signed. 102 AI Net Art a large installation (adapted to each place where it is displayed) that is a miniature city. 71 Net Art The computer manipulates al time experiences and life of NYC as it unfolds. The city and its population are all actors in this real time play. All Image available for exhibition. 06 Digital Artwork Images made using custom made software and computer techniques developed by the artist. Most images below show events captured from CCTV and live feeds from networked devices. All Image available for exhibition. 111 Installation A large installation adapted to each place where it is displayed that is a miniature city. 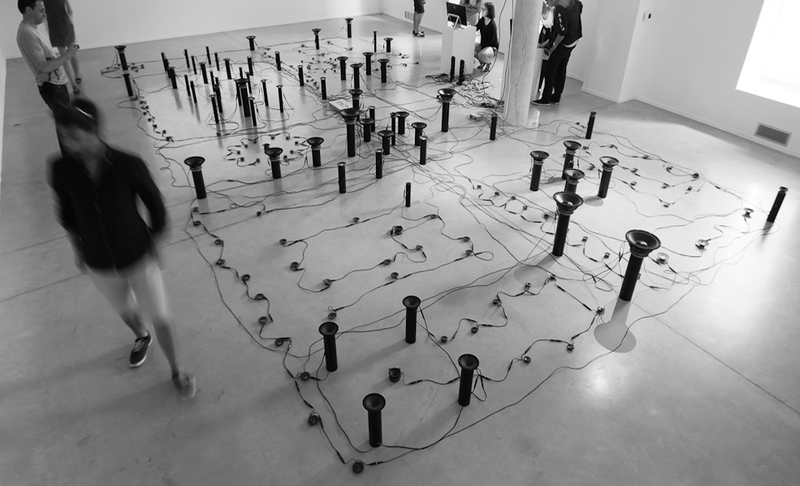 44 Installation Artwork Underlying these simple interfaces and engaging forms are sophisticated formal and technical structures. 113 Sculpture A large installation sculpture adapted to each place where it is displayed. 46 Prints Images made using custom made software and computer techniques developed by the artist. Most images below show events captured from CCTV and live feeds from networked devices. All Image available for exhibition. 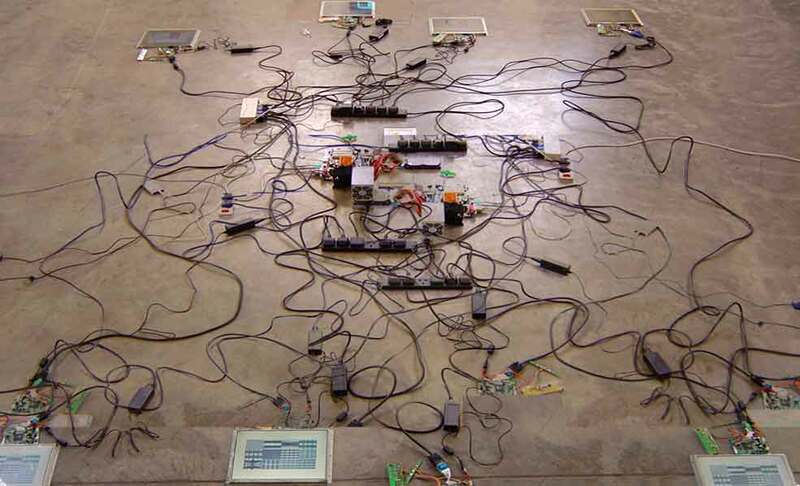 19 Sculpture Stanza is an artist who specializes in netart, painting, networked space, installations. 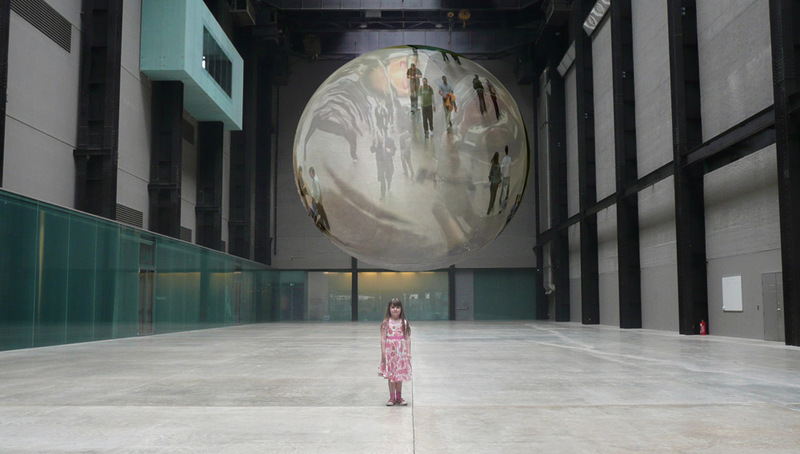 Artwork has been shown at The Venice Biennale, Tate Britain, The Victoria and Albert Museum. 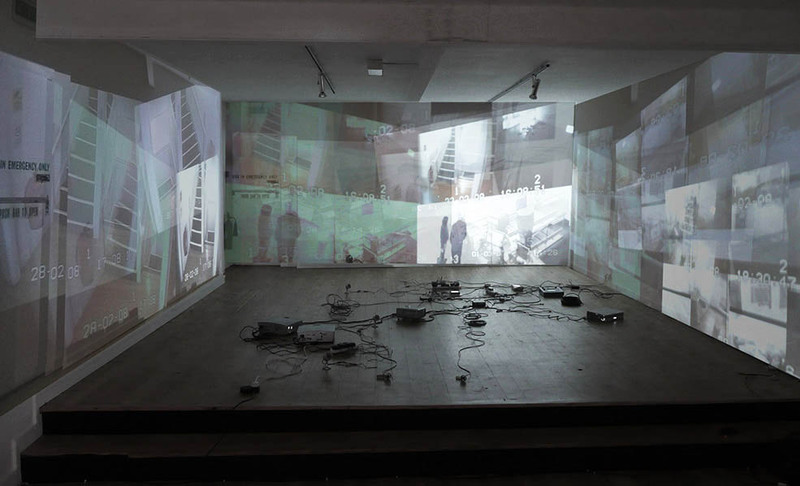 Recipient of Nesta Dreatime Award, AHRC creative fellowship and numerous prizes. 116 Sculpture A large installation sculpture adapted to each place where it is displayed. 108 Installation A large installation adapted to each place where it is displayed that is a miniature city. 112 Sculpture A large installation sculpture adapted to each place where it is displayed. 107 Installation A large installation adapted to each place where it is displayed that is a miniature city. 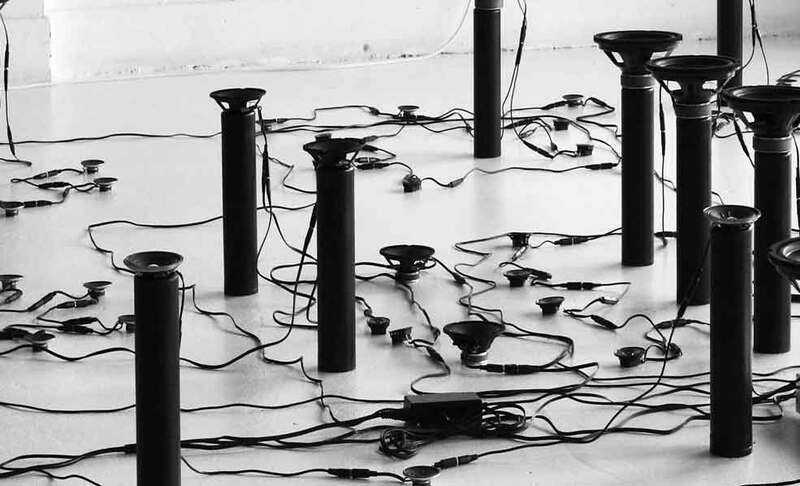 27 Installation Data as sound installation. 109 Installation A large installation adapted to each place where it is displayed that is a miniature city. 73 Installation Images made using custom made software and computer techniques developed by the artist. Most images below show events captured from CCTV and live feeds from networked devices. All Image available for exhibition. 59 Installation Images made using custom made software and computer techniques developed by the artist. Most images below show events captured from CCTV and live feeds from networked devices. All Image available for exhibition. 54 Print Images made using custom made software and computer techniques developed by the artist. Most images below show events captured from CCTV and live feeds from networked devices. All Image available for exhibition. Welcome: This site shows only artwork made by Stanza; please enjoy. Stanza is a practising artist, based in London. 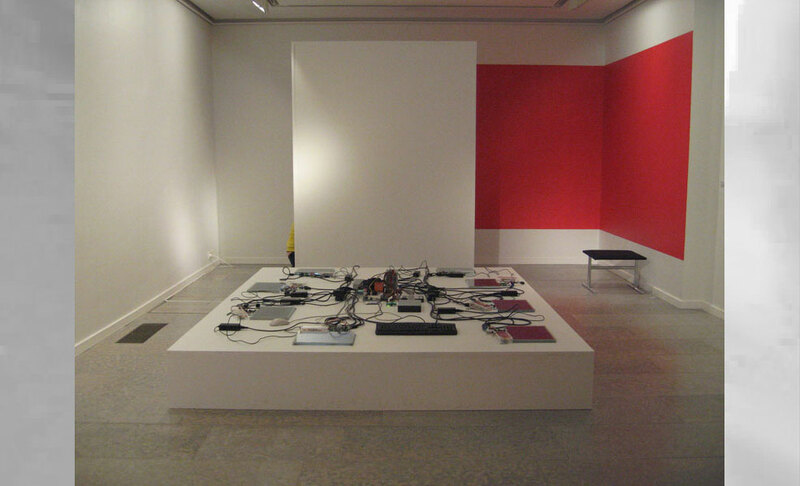 These artworks include installations public art generative data art paintings, prints and netart. 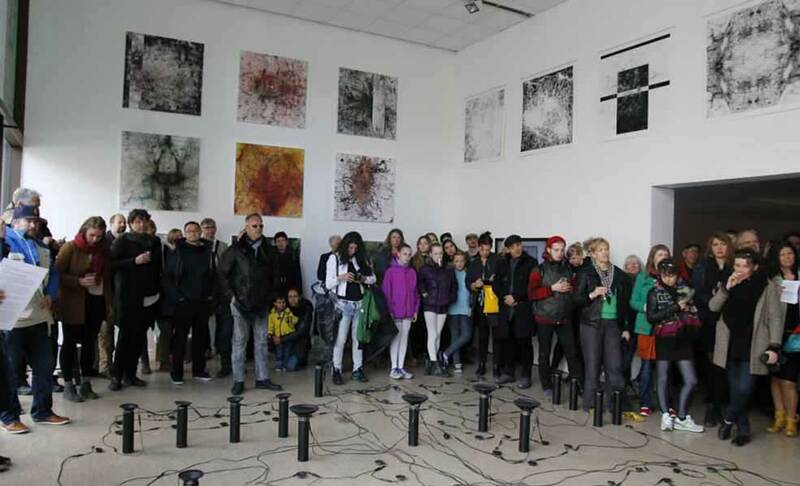 Artwork has been exhibited at the Venice Biennale, Bruges Museum and the Victoria and Albert Museum. He is the recipient of a Nesta Dreamtime Award, an AHRC creative fellowship and twenty four international art prizes and awards. All artwork on this site is made between 1982 and 2019 By Stanza. News Nemesis Machine in Italy at Cubo and in Cardiff for Diffusion. Youth Culture sculpture in Salford at The Lowry. 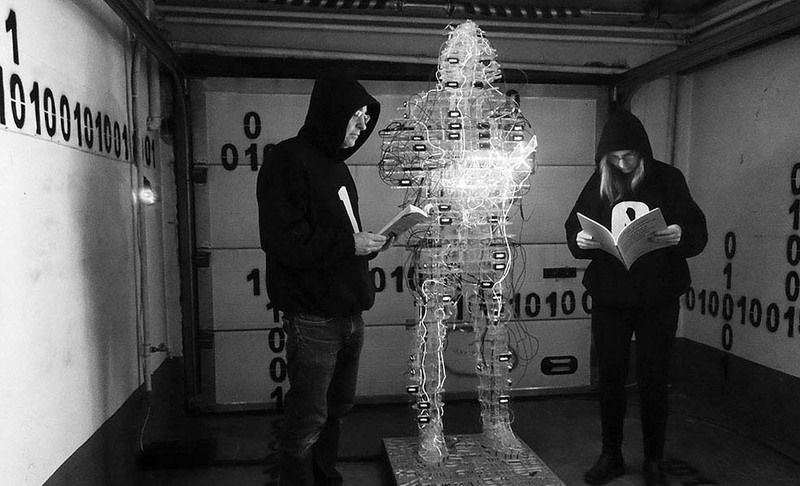 The Binary Graffiti Club opens CYnetart Dresden. 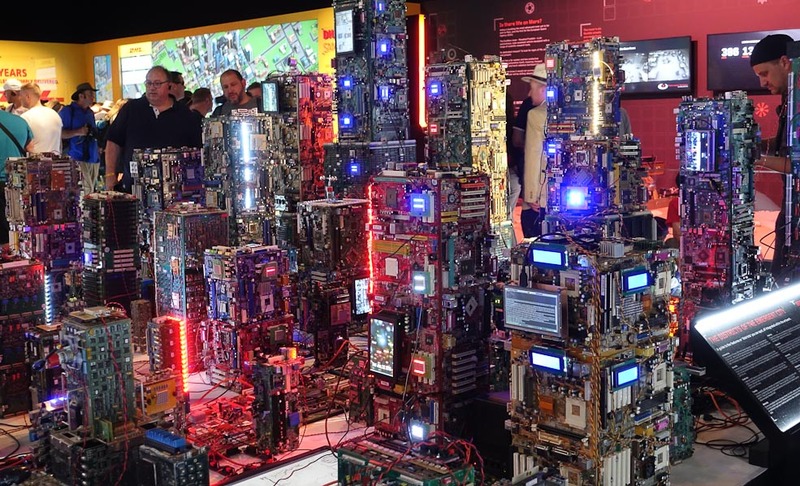 Nemesis Machine at Nesta Future Festival at Tobacco Dock London UK and Speculum Artrium Decades Trbovlje Slovenia. All artwork © Stanza 1982- 2019.